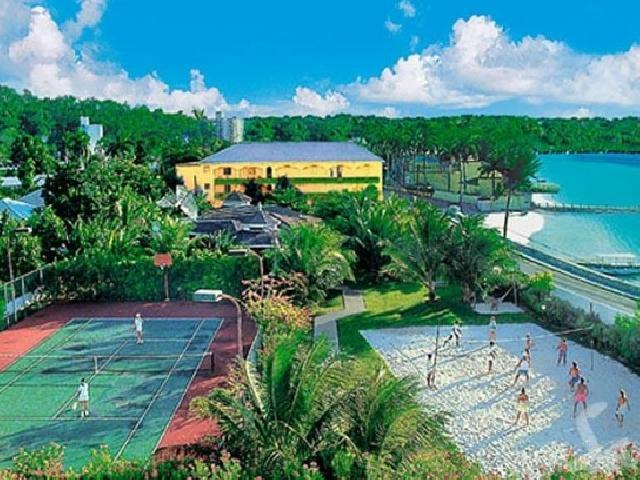 The adults-only Sandals Inn offers a true taste of Jamaica's exotic island pulse. 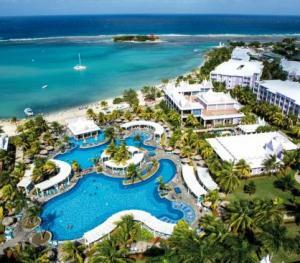 Experience Jamaica on the quiet end of famed Gloucester Road while maintaining the secluded feel of a private island hideaway. 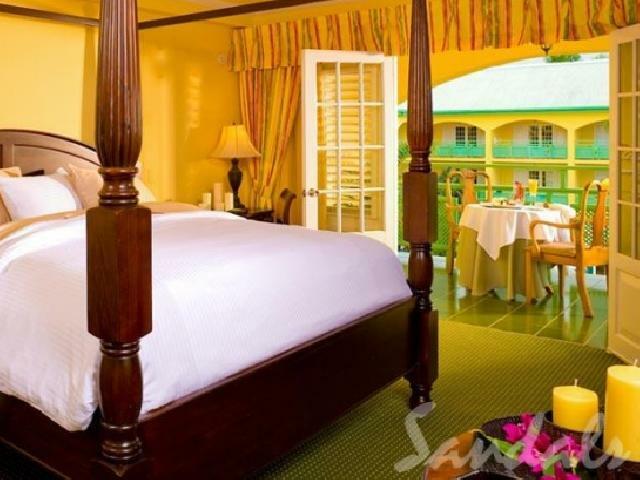 Located in popular Montego Bay, just minutes from Sangster International Airport, this 52-room hideaway may be the smallest Sandals but it's big on charm. With the quaint intimacy of a bed & breakfast, the resort boasts a staff that is warm and accommodating, happily delivering complimentary room service to all guests 24 hours a day. The penthouse-level rooms additionally enjoy butler service for the ultimate in personalized attention. 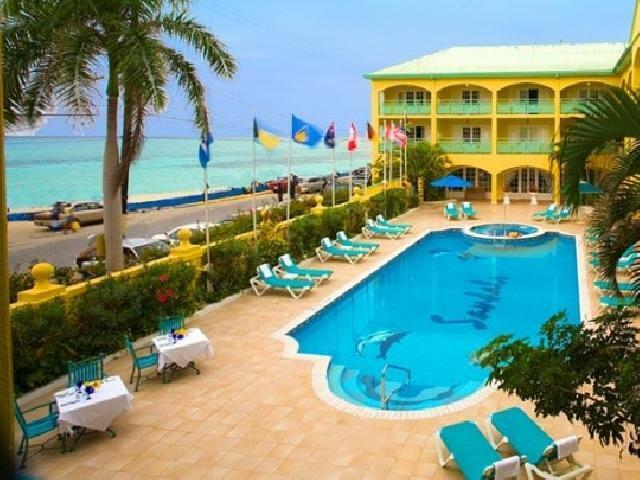 The Carlyle's easy-going hospitality encourages a social atmosphere when you're in the mood —revolving around the courtyard pool —as well as a peaceful sense of tranquility whenever you prefer it, even on the beach. Two bars provide unlimited premium drinks including the circular Sunset Bar, which surrounds you in tropical gardens. 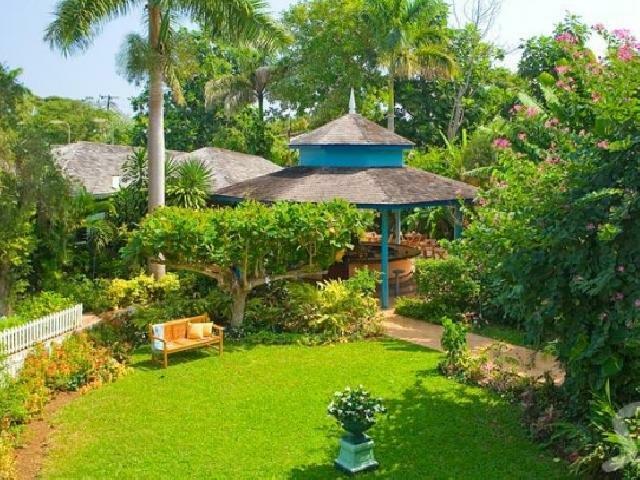 This petite paradise with all its lovely landscaping was the very first resort named Small Green Hotel of the Year by the Caribbean Hotel Association. 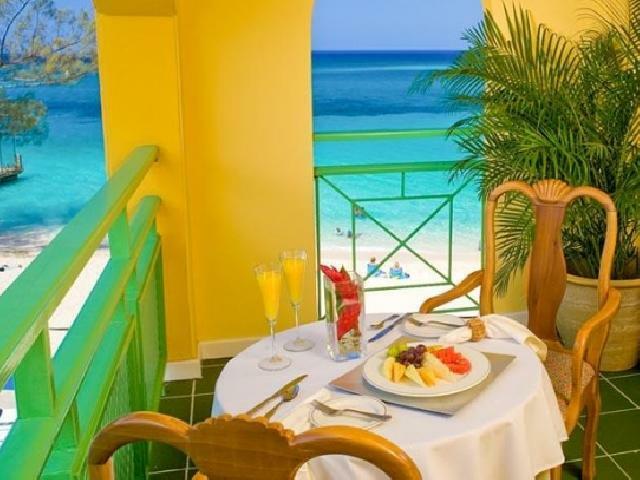 Three superb restaurants offer a variety to suit your discerning tastes while full exchange privileges at nearby Sandals multiply your dining and sporting options. Taking a stroll is a real adventure as the local shops and renowned bars and nightclubs of Montego Bay are a short walk away. 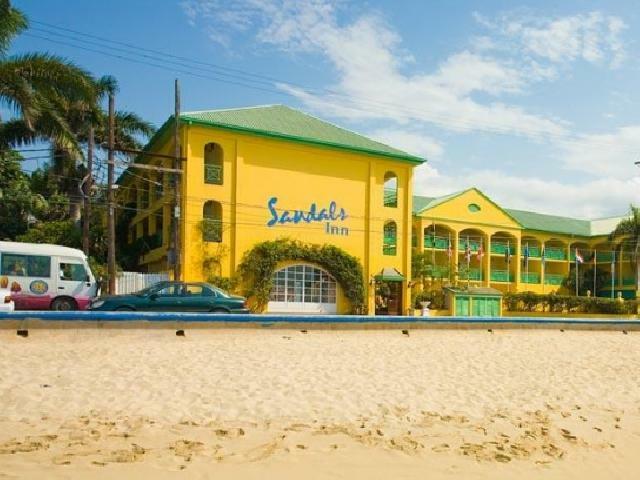 Like everyone who stays here, Sandals Carlyle is sure to find a big place in your heart. No other resorts in the world are so completely dedicated to couples in love. 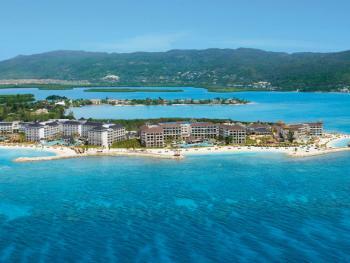 That\'s why a Sandals tropical honeymoon is the kind of honeymoon you dream about. 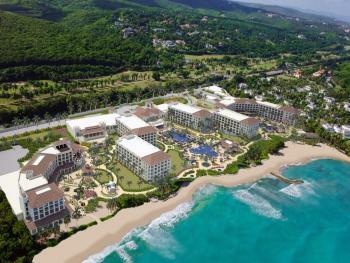 And only Sandals offers the ultimate luxurious accommodations and, the Caribbean\'s best land and water sports -- from golf to scuba, and an array of top gourmet dining options. The best part...it\'s all included. So leave your worries and wallet behind and spend your honeymoon dedicated to each other. Upon arrival, bottle of chilled sparkling wine elegantly arranged on ice bucket. On first night, turndown service will include flower petals on your bed. On one morning, you\'ll receive a breakfast in bed served with fresh flowers. 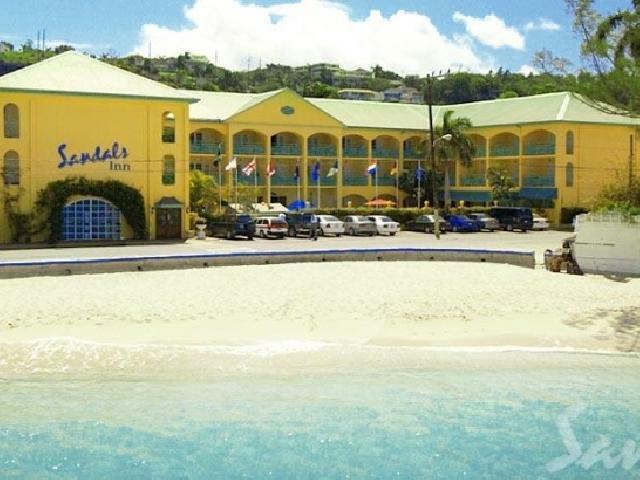 Casual wear such as shorts, tank tops, swim suits, short-sleeved shirts, sundresses and light slacks are the perfect day-wear fashion at Sandals. At night we become \"casually elegant.\" Proper attire is required at dinner seatings. Elegant dress shorts are permitted in some restaurants. Large imposing room with four-poster mahogany bed and furnishings. All rooms have balconies and are carpeted. Large room with four-poster mahogany bed and furnishings. All rooms have balconies and carpeted. 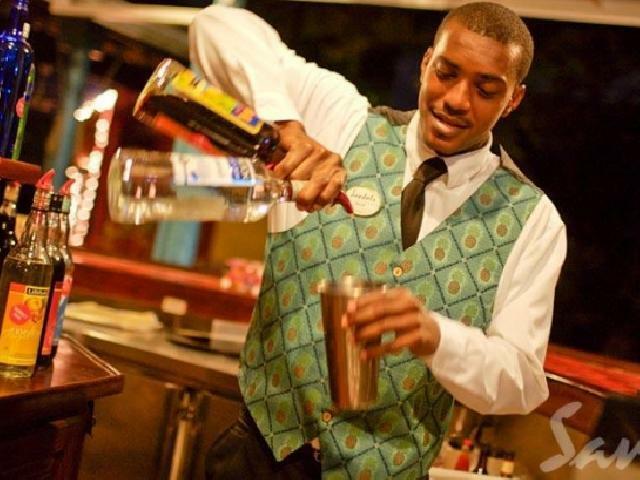 As a guest of Sandals Inn, you can \"Dine Around Montego Bay\" anytime at two other Sandals Resorts: Sandals Royal Caribbean and Sandals Montego Bay, giving you 11 world-class restaurants to choose from in all, all within minutes, all with complimentary transfers included. Share the ultimate romantic experience with someone you love! A sunset dinner under the stars served by a white-gloved waiter, on a table specially decorated with tropical floral arrangements and candle lights. Only a very limited number of seatings are available each evening at each resort. Reserve yours now. A garden-side grill that serves up snacks and hearty meals throughout the day and into the wee hours of the night, this cute snack bar ensures that you\'ll never, ever go hungry. Adjacent to the flower-filled garden and overlooking the entertainment amphitheater, this flambé-style restaurant-the perfect choice for dinner- embodies the perfect mixture of old and new world tastes in its fusion cuisine. Intricately painted Italian ceramic plates adorn light green walls and a variety of oddly-shaped glass bottles, filled alternately with dried pastas, olives and peppers sit upon shelves and rustic wooden country sideboards, imparting a feel of Tuscany in the tropics. An impression that is only heightened by the island sun streaming through the bay windows and the International fare that sets your taste buds tingling. 2 bars with 9 additional restaurants at 2 nearby Sandals Resorts - transfers included.